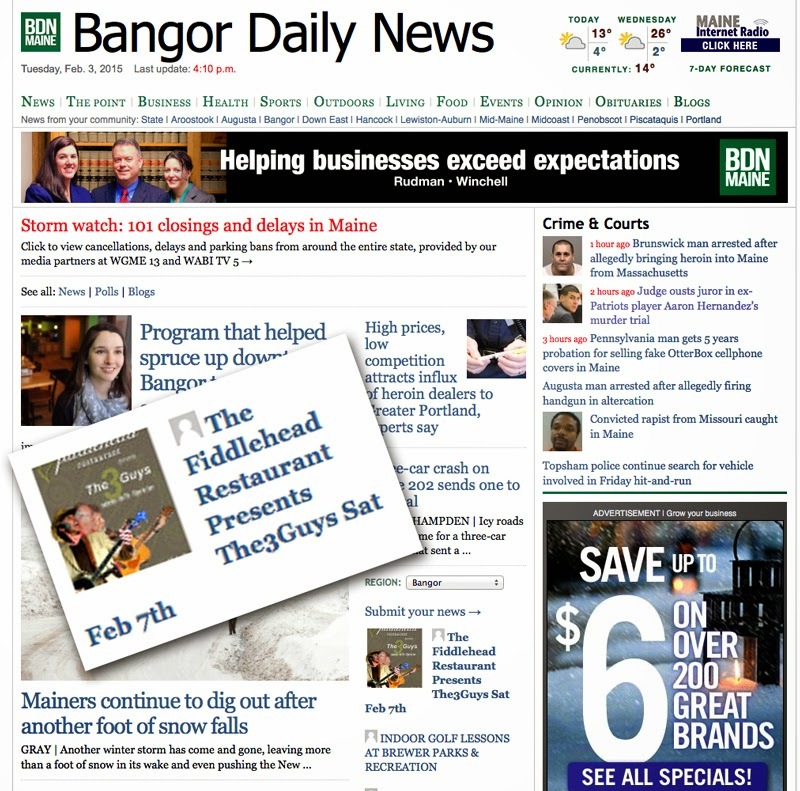 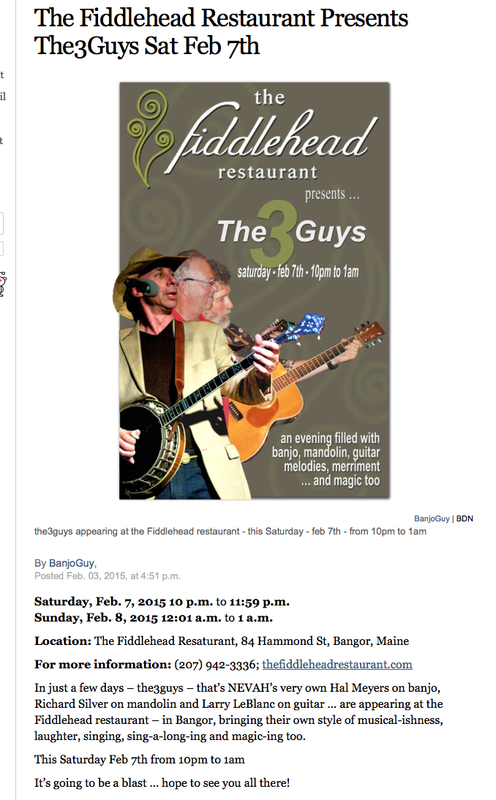 Holy cow - can you believe it, in just a few days – the3guys – (that's NEVAH's Richard, Larry and yours truly) are appearing at the Fiddlehead restaurant - in Bangor, bringing our own style of musical-ishness, laughter, singing, sing-a-long-ing and magic-ing too. 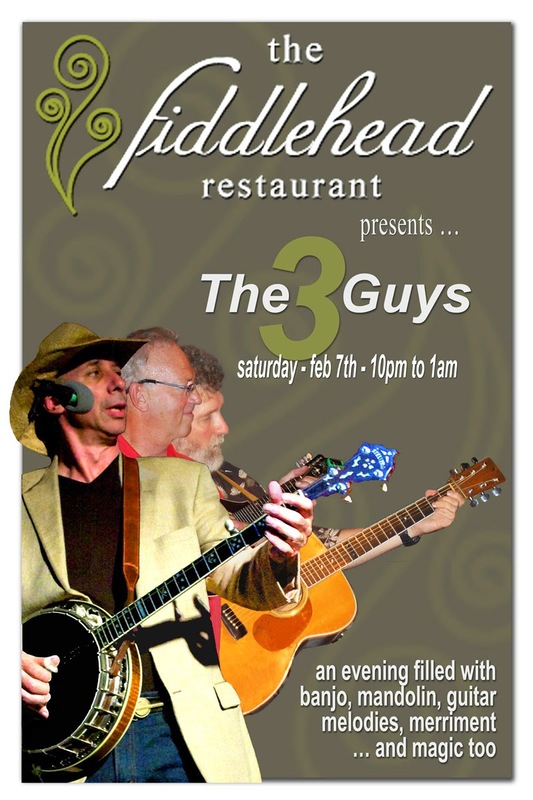 This Saturday Feb 7th from 10pm to 1am … oh yeah. 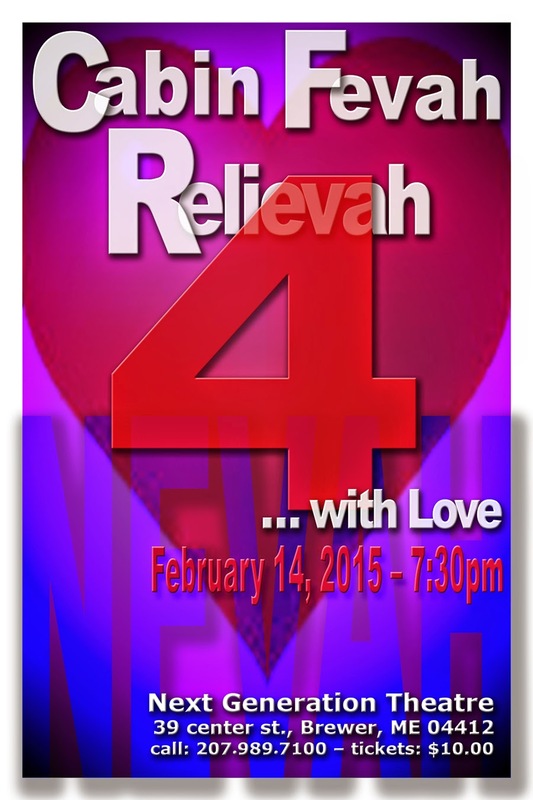 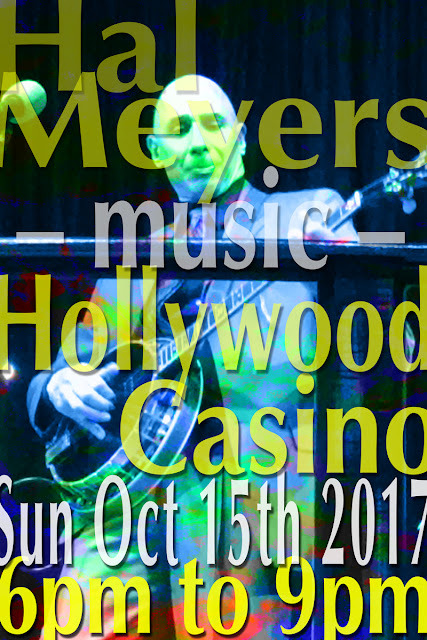 It's going to be a blast … hope to see you all there!